Something I learned the hard way is – it’s time to relax when you don’t have the time. But what if we don’t listen to our body? If we continue slowly burning the candle at both ends until we reach physical and emotional exhaustion? Just like the candle itself – we burn out. And like the parable of the frog who finds himself in a pot of water on the stove – when the water starts boiling he doesn’t notice the slight increase in temperature, as he swims around busily. Until the water reaches unbearable degrees, and without the frog realizing it, he can no longer survive. Have you ever experienced this slow acceptance of the pressures building around you until everything gets too much and you can no longer cope? You and an estimated other 8.3 million American adults who were reported to have experienced serious psychological distress in 2017 (“More Americans suffering from stress, anxiety, and depression, study finds”, 2018). Wouldn’t it be great if we could notice the boiling signs earlier – so we can learn to make a change and turn down the heat? Let’s change the way we approach our management of stress this year with these tips and techniques to keep you swimming peacefully over the coming months. “set of techniques and programs intended to help people deal more effectively with stress in their lives by analysing the specific stressors and taking positive actions to minimize their effects.” (Gale Encyclopaedia of Medicine, 2008). Some popular examples you’ve most likely come across include meditation, yoga, and exercise. We’ll explore these in detail below with a range of different approaches to ensure there’s something that works for everyone. First, let’s set one thing straight… we’re not aiming towards being stress-free all of the time. That’s unrealistic. After all, it’s an unavoidable human response that we all experience from time to time – and it’s not all bad. What we can all aim towards however is experiencing less stress. Before we dive any deeper into managing stress, let’s cover a quick 101 on stress itself. Stress is the “psychological, physiological and behavioural response by an individual when they perceive a lack of equilibrium between the demands placed upon them and their ability to meet those demands, which, over a period of time, leads to ill-health” (Palmer, 1989). More examples of stress symptoms can be found here at The American Institute of Stress website. Historically stress was our friend. It acted as a protective mechanism that warned us of danger; a natural reaction telling us when to run. This response is now referred to as the “fight or flight” response, or the “stress response”. It’s believed that stress has remained part of the evolutionary drive because of its usefulness in helping us to survive. Since when it’s used at the right time, stress temporarily increases our awareness and improves physical performance (Van Duyne, 2003). Repetitive exposure of the stress response on our body is proven to lead to long-lasting psychological and physical health issues, such as cardiovascular disease, diabetes, anxiety and depression (“How Does Stress Affect Us?”, 2016). So, what’s the difference between stress and burnout? Stress is inevitable. Burnout isn’t. While stress is our response, burnout is the accumulation of excessive stressors over time, which results in unmanageable stress levels. American psychologist Herbert Freudenberger, first termed the word “burnout” in the 1970s when he referred to the effect of extreme stress and high ideals placed on “helping” professionals, such as doctors and nurses (“Depression: What is burnout?”, 2018). Today, the word has evolved and is used more broadly to refer to the consequences of excessive stress placed on any individual, no matter their occupation. When we get to the point of no longer being able to cope, we’re referred to as being “burned out”. This is where stress management comes back in, to avoid the experience of burnout. Stress has been referred to as the “silent killer” as it can silently cause heart disease, high blood pressure, chest pain, and an irregular heartbeat (Chilnick, 2008). Telogen effluvium is the result of hair loss caused by stress that can happen up to three months after a stressful event (McEwen, 2003). Stress is believed to account for 30% of all infertility problems. In women, stress can cause spasms in the fallopian tubes and uterus. In men, it can effect the sperm count and cause erectile dysfunction (Bouchez, 2018). Researchers have found that stress worsens acne. More so, than the prevalence of oily based skin (Warner, 2002). Stress can be to blame for weight gain too. The stress hormone cortisol has been found to cause both the accumulation of abdominal fat and the enlargement of fat cells, causing what is referred to as “diseased” fat (Chilnick, 2008). Correlations have been found between stress and the top six causes of death: cancer, lung ailments, heart disease, liver cirrhosis, accidents, and suicide (“How Does Stress Affect Us?”, 2016). In children, chronic stress has been found to negatively impact their developmental growth due to a reduction of the growth hormone in the pituitary gland (Van der Kolk, B. et. al., 2007). The word itself, “stress” stems from the Latin word stringere, meaning “to draw tight” (McEwen, 2003). In the event of chronic stress, dominant hormones are released into our brain. These hormones are intended for short-term emergencies and in the event where they exist for extended periods they can shrink, impair and kill brain cells (Wallenstein, 2003). Stress can increase the likelihood of developing blood clots since the blood prepares itself for injuries and becomes “stickier” (Chilnick, 2008). Chronic stress can place pressure on, and cause damage to arteries and organs. This occurs due to an inflation in our bodies caused by cytokines (a result of stress) (McEwen, 2003). Stress is also responsible for altering our blood sugar levels, which can lead to fatigue, hyperglycemia, mood swings, and metabolic syndrome (“How Does Stress Affect Us?”, 2016). On a positive note, we can reduce our stress levels by laughing. Having a chuckle, lowers the stress hormones, including cortisol, epinephrine, and adrenaline, and strengthens our immune system by releasing positive hormones (Wallenstein, 2003). More good news, especially for chocolate lovers, dark chocolate has also been found to reduce our stress hormones (Wallenstein, 2003). Before discussing stress management techniques, there are a few factors we must first consider. How do you stress? This can be different for everybody. By understanding what stress looks like for you, you can be better prepared and reach for your stress management toolbox when needed. What causes you to be stressed? Be it work, family, change or any of the other potential thousand triggers. What is your go-to tactic for calming down? These can be behaviors learned over years and sometimes aren’t the healthy option. For example, self-medicating with alcohol or overeating. It’s good to be mindful of any current unhealthy coping behaviors so you can switch them out for a healthy option. For example, if overeating is your current go to, you could practice meditation instead, or make a decision to phone a friend to chat through your situation. The American Psychological Association suggest that switching out one behavior at a time is most effective in creating positive change. When we make time for ourselves, we put our well-being before others. While this can feel selfish to start, like the old plane analogy we must put our own oxygen mask on before we can help others. This is also true for effective stress management. The simplest things that promote well-being, such as enough sleep, food, downtime, and exercise are often the ones overlooked. Make time for you. If you’re feeling overwhelmed reach out to a friend or family member you are comfortable talking to. Speaking with a healthcare professional is also an effective way of reducing stress, learning new strategies and preventing burnout. For more tips about stress management check out these renowned books. While there are a lot of things we should be doing less of today, here is the list of things we should be doing more of. Explore the below options and find what combination works best for keeping your stress levels under control. Action-oriented approaches allow you to take action and change the stressful situation. Clear and effective communication is the key to being assertive. When we’re assertive we can ask for what we want or need and explain what is bothering us. The key is doing this in a fair and firm manner while still having empathy for others. Once you identify what you need to communicate you can stand up for yourself and be proactive in changing the stressful situation. You can read more about how to be assertive here. Switching off from technology and the constant stimuli thrown at us hourly is an important way to slow down. How often do you go offline? Make time for some quietness each day and you’ll notice how all those seemingly urgent things that we feel we need to do, become less important. Plus the to-do list will always be there. Remember – recharging is the most effective way of tackling stress. If we let them, our days will consume us. Before we know it – the months have become overwhelmingly busy. When we manage our time we prioritize and organize our tasks creating a less stressful and more enjoyable life. You can learn more with these tips about time management here. Boundaries are the internal set of rules that we create for ourselves. They outline what behaviors we will and won’t accept. Healthy boundaries are essential for a stress-free life. When we have healthy boundaries we respect ourselves and take care of our well-being by clearly expressing our boundaries to others. Sometimes it’s best not to even try contending with the racing thoughts. Sometimes you just need a break. Distract yourself. Watch a movie, phone or catch up with a friend or do something positive that you know takes your mind off things. Emotion-oriented approaches are used to change the way we perceive stressful situations. The power of positive imagery and affirmations is now scientifically proven to increase positive emotion. How? When you think of a positive experience, your brain perceives it to be a reality. So, replace those negative thoughts with positive statements and challenge and change the way you see and experience the world. In the mid-1950’s psychologist Dr. Albert Ellis developed what is referred to as cognitive restructuring, a technique for understanding negative emotions and challenging these sometimes incorrect beliefs that cause them. Cognitive restructuring is a key component of Cognitive behavioral therapy (CBT). More about CBT here. The ABC technique was also originally created by psychologist Dr. Albert Ellis and was later adapted by Martin Seligman. The letters ABC stand for; A – adversity, or the stressful event. B – beliefs, or the way that you respond to the event. Then C – consequences, the result of your beliefs lead to the actions and outcome of that event. Essentially, the more optimistic your beliefs, the more positive the outcome. Acceptance-oriented approaches are useful in stressful situations that you cannot control. You’ve heard it before – but you are what you eat. Be mindful of having a balanced and healthy diet. Making simple diet changes, such as reducing your alcohol, caffeine and sugar intake is a proven way of reducing anxiety. Another guaranteed way to reduce stress is exercise. It’s proven to also be as effective as antidepressants in relieving mild depression. Use techniques such as deep breathing, guided visualizations, yoga and guided body scans to relax the body. Some examples for you to try out are included below. Resiliency is our ability to bounce back from stressful or negative experiences. To simplify, resilient people accept that the situation has occurred, they learn from what transpired and then they move on. More about resiliency, along with some worksheets and activities can be found here. Don’t block it all inside. Talk to someone close to you about your worries or the things getting you down. Sharing worries is halving them. And, most of our worries sound a lot less worrisome when we say them out loud. If you don’t feel up to sharing, writing them down is also a great way to release them or by engaging an independent professional. There are plenty of services available, including free services, which you can quickly google to find what’s available in your city. Getting a good night sleep is fundamental for recharging and dealing with stressful situations in the best possible way. While it varies from individual to individual, on the exact amount of sleep needed, an uninterrupted sleep of approximately 8 hours is generally recommended. So, ensure that you get enough Zzzz’s for you. Whether it be extended hours, near impossible deadlines, demanding colleagues or unappreciative bosses, workplace stress is something we’re all familiar with. But the effects of workplace stress aren’t simply isolated to the workplace. They spill over into our personal relationships, our home lives, and our overall productivity. Duke University found that workplace stress was responsible for over 70% of workplace accidents, 50% of absenteeism, and over $300 billion in associated costs (“Stress Facts in the Workplace”, 2018). The most and least stressful job report for 2018, conducted by CareerCast found that the top most stressful jobs of the year were – Enlisted Military Personnel, Firefighters, Airline Pilots and Police Officers. The least stressful jobs were – Diagnostic Medical Sonographer, hair stylist, audiologist, and University professor (“CareerCast Rates Least and Most Stressful Jobs for 2018”, 2018). While some jobs are undoubtedly more stressful than others, all workplaces are prone to stress of some degree. 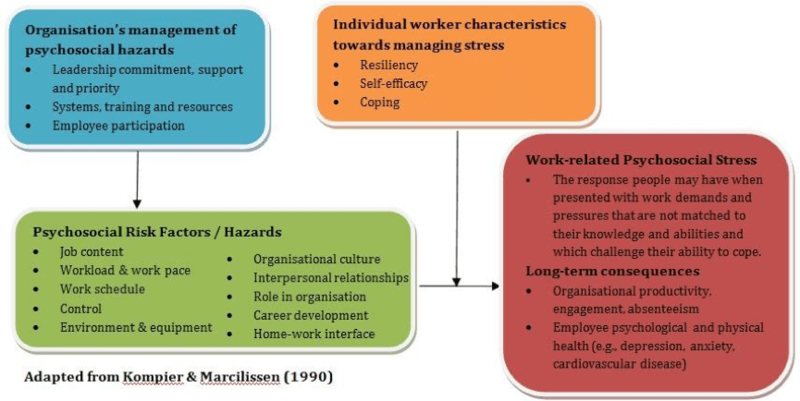 The below diagram, obtained from the WSH Institute (2018) clearly shows the various factors that can lead to workplace stress along with the organization and individuals role in dealing with these hazards. 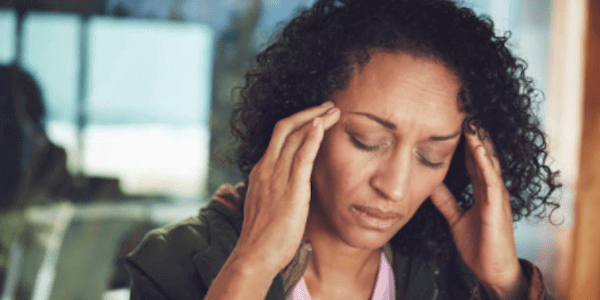 Symptoms of workplace stress can manifest physically (headaches, stomach aches, pains, fatigue or eating and sleeping disturbances), cognitively (trouble with concentrating, decision making, thinking or remembering), and emotionally (feeling down, tense and irritated). 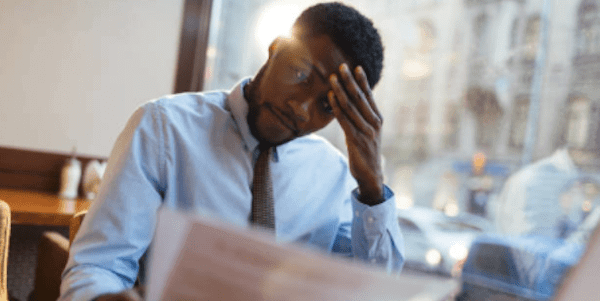 The prevention of workplace stress is most successful when a combination of both organization change and individual stress management is used. That is, like any healthy relationship, both parties – the employee and the employer make an effort. What can the company do to manage stress? What can the individual do to manage stress? Today, companies are recognizing the link between productivity and health, and a conscious workplace. Some companies are going to great lengths to achieve this. A recent survey conducted by CareerBliss, found that the happiest employees in America worked for the Austin, Texas company, Keller Williams realty. The outcome was based on ten key factors, including their relationship with management, workplace environment, compensation, satisfaction with job function and growth opportunities (“Forbes Welcome”, 2018). Nike took away the second spot in the country. For those who are interested, you can find the full list here. For adults & teens, this PDF Stress diary is an excellent template put together by Mindtools.com to make us aware of when we stress, how we stress and how often we stress. It’s easy for stress to come and go, with us accepting it’s just part of our lives instead of something that needs addressing. Once we bring our awareness to these key stress components, we can start taking steps to help manage it. Download the diary and make regular entries to start increasing the awareness surrounding your stress. Once you’ve identified how you stress, you can start fleshing out a plan that works best for you. This Stress management PDF will help you to put in place some solid solutions, such as social support, emotional skills, ideas for a healthy life balance, and how you can best attend to your basic needs. If you’re looking for a resource specific to the workplace, this comprehensible Workplace PDF handbook, compiled by North Carolina Health, covers everything from individual and group activities, to workplace policies, to the various factors for promoting a positive and productive workplace. If you’re looking for a handy PPT, this ‘Reducing Stress’ presentation, put together by The Wellness Council of America, explains how we can best manage our stress by exploring the ways in which we can change our health behaviors. The slides give an easy to understand overview which discusses; Why managing stress is important, the consequences of not managing stress, the benefits of reducing stress, the barriers preventing people from reducing their stress and strategies for managing stress. Now that you’ve learned the ins and outs of managing stress, you can test your stress knowledge using this simple quiz developed by APA. How? Firstly, you can start by simply being aware of your thoughts. Try to observe your thoughts as an outsider. Be interested in and take note of what’s going on but without judging or attaching to them. Then just let them go. They’ll come back again that’s for sure – but continue to do the same “thought watching” and they’ll slowly lessen. This is otherwise known as being “mindful”. More information on being mindful can be found here. Another great tool that you have on hand at all times is the ability to tap into your senses – an old meditative trick that you can use, anywhere anytime. By tuning into your senses; See, smell, touch, taste and hear, this will automatically slow down the brain. What can you see? Look close and far, colors, shapes, and light. What can you hear? Hear as many sounds as you can and keep looking for new ones, don’t focus on any one for too long. What can you taste? This is less fun when you’re not eating – but try to last the minute. What can you smell? Focus on the smells around you – what are they and how many can you find? What can you feel? Send your attention to the parts of your body that have contact with something, like the earth or a chair or table. Another stress management tool that you can do anywhere, anytime – is a self-massage. This below clip shows you how. Or if you’re looking for some background sound, put on this relaxation music and experience the calming effects. Set aside time each day (as much as you can spare) to intentionally wind down. For example, the Body Scan relaxation technique works by slowing down your thoughts and bringing your awareness back to your body. This audio track put together by Mindful.Org is a great example for beginners. For those who enjoy playing games, you can have some fun while de-stressing with these Stress Relief games by StressreliefPig.com. Yoga is now a well accepted and practiced stress management technique across the globe. If you’re yet to give it a go, you can find a studio near you using this global Yoga Finder or learn more about it here. For some people, group activities are the preference. You can give them a try using these ideas. The more you learn the more prepared you’ll be. In the past year alone, 31% of American’s reported their stress levels to have increased significantly (The American Psychological Association, 2018). 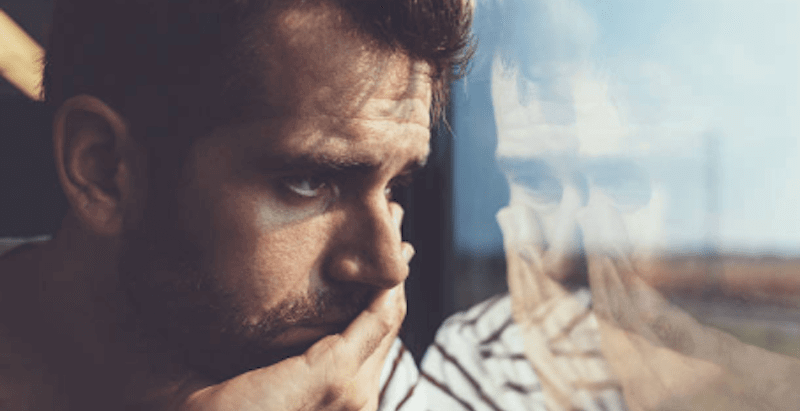 The warning signs are out there – not only the statistics listed here that we can’t ignore but those internal alarm bells – the headaches, stomach knots and racing thoughts. They’re all signaling us to take action. The good news is we can. The resources are here. All we need to do is listen and respond using a realistic stress management plan adapted from the extensive list above. How will you manage your stress? Try out the different tips and techniques listed here and see what works best for you. If you have your own techniques that aren’t listed here, please include them in the comments below – It’d be great to hear the tools you use so we can share them with all of our readers. Chilnick, L. (2008). Heart Disease: An Essential Guide for the Newly Diagnosed. Philadelphia, PA: Perseus Books Group. Leka, S., Griffiths, A., & Cox, T. (2003). Work Organization and Stress. Geneva: World Health Organization. McEwen, B. (2003). The End of Stress as We Know It. Washington, D.C.: Joseph Henry Press. Palmer, S. (1989). Occupational Stress. The Health and Safety Practitioner, 7, (8), 16-18. Stress Management. (2008). Gale Encyclopaedia of Medicine. Van der Kolk, B. et. al. (2007). Traumatic Stress: The Effects of Overwhelming Experience on Mind, Body, and Society. New York, NY: The Guilford Press. Van Duyne, S. (2003). Stress and Anxiety-Related Disorders. Berkeley Heights, NJ: Enslow Publishers. Wallenstein, G. (2003) Mind, Stress, and Emotion: The New Science of Mood. Boston, MA: Commonwealth Press. Amba Brown is an Australian Positive Psychology Author, who holds a degree in psychology & sociology, with Honours in Positive Psychology. She is 31 years old, from Sydney, Australia, and has also lived in Asia and America. You can watch Amba’s TEDx Talk created to support students today on ‘How to Find a Happy Path After School’ on the TED website. Great and useful article that everyone should read. Practical tips to manage stress in daily life. Have sent this article to friends and family. Thank you. If you’re not able to fight with your daily work or personal stress, you should start life coach with the business coach or relationship coach. Life coaches provide you the right direction to achieve your goals. I heard about life coaching services of India’s popular life coach Geet Batra. You can book your sessions and discuss where you stuck in your life. I think all the discussions are confidential between you and him. His website is Link you can even read what kinds of services they provide to fight with stress management. Stress management PDF is really awesome and very useful. Hi Nikhil, thanks for your feedback, I’m glad to hear it was of value! Negative stress is a starting point for all diseases. Try to find some ways of stress relief from work in order to avoid a lot of stress generation. I think stress effects are too dangerous to our health. I think this article helped me a lot. Generating stress is also very crucial in work life, but negative stress or high level of stress really retards life’s acceleration and my cause disease , therefore it should me managed carefully. Thanks for information.